David Hill, the founder of property developer Hills Steadfast Investments Ltd (Hills Ltd), announced on 12th June 2010 his plans to regenerate Aldridge centre by building a sustainable redevelopment in the former court area, called Aldridge Prime. To kick off the £2 million redevelopment, which is due for completion in spring 2011 (subject to planning permission), Hills Ltd is planning a launch event on 30th June, 2010, from 4pm to 8pm at the old court area site, Rookery Lane, Aldridge. Local businesses and business owners from Aldridge, Walsall, Streetly and Sutton Coldfield are invited to view the plans and provide their feedback on the project. The aim of Aldridge Prime is to revive the area with the help of local people, enterprises and materials in a sustainable way. The development is a combination of high spec work space and luxury apartments, set over two stories, in the heart of Aldridge town centre. The redevelopment plans include the refurbishment of all of the existing buildings in the old court room area as the commercial centre for small businesses and to build one block for the living space. Hills Ltd, an Aldridge based company - is the name behind this development. They have formed Aldridge Prime Ltd to carry out this development. The development will provide approximately 9,000 sq feet of ground floor space for local businesses and 10 luxury apartments, including a penthouse suite. The new development is ideal for business owners who want to eliminate the commute to work, any company wanting to provide services in the heart of Aldridge and urban professionals attracted by the high spec apartments. The development will conform to the highest design standards, whilst keeping the previous heritage as a court building intact. Aldridge Prime will revive the whole of this central zone. The businesses will encourage more visitors to the town centre boosting local businesses. The businesses will benefit from a central location with a high footfall of passing trade. The living accommodation will improve security in the town centre as more people will be around. It aims to provide modern living space to meet the accommodation needs of dynamic people who are instrumental in enhancing and sustaining the growth of the area. Provide the new residents with access to excellent and conveniently located leisure facilities, schools, healthcare and other community services. Reduce travel time for apartment owners choosing to work in the adjacent office space by developing an efficient integrated transport system that can promote cycling and walking. To attend the launch of plans event, please RSVP by 23 June to rsvp@aldridgeprime.co.uk or call us on 01922 214023. For further information on the Aldridge Prime development, call on 01922 214014 or email info@aldridgeprime.co.uk. Aldridge Prime Ltd was started by Hills Steadfast Investments Ltd- the successors to Hills plc who owned and ran a successful national business in the construction industry throughout the UK before selling that business in 2008. 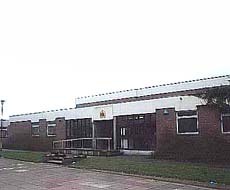 The company has formed Aldridge Prime Limited to revive the unused Aldridge Magistrates court area through investments in local companies and developments. Please note we are able to set up conducted tours for journalists/bloggers on a group or individual basis.